I thoroughly enjoyed this book. The author writes informatively with a sense of humor. Even though a lot of the book is scientific, it never gets boring. A step by step process to get out of the rut. Get ready to own the day! The founder and CEO of Onnit, the mega lifestyle brand and one of the fastest growing companies in the country, teaches us how one single day of positive choices leads to a lifetime of concrete strategies for better living, optimal performance, and a stronger mind, body, and spirit. Marcus answers that question in Own the Day, Own Your Life an empowering handbook that guides readers to optimize every moment of the day, from waking in the morning, through work and play, until bedtime each night. With small, actionable changes implemented throughout the course of one day, we can feel better, perform more efficiently, and live happier. And these daily habits turn into weekly routines, ultimately becoming part of lifelong healthy choices. 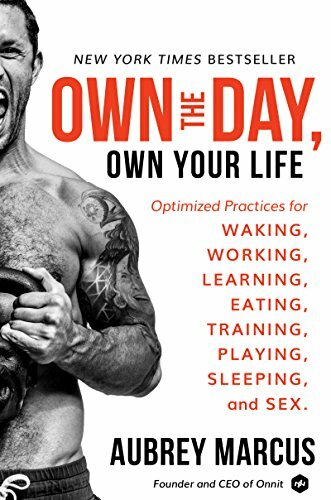 Own the Day, Own Your Life is a must-have "choose-your-own-adventure" guide for the everyman and everywoman—packed with pragmatic and effective strategies that empower you to enjoy your life, take charge of your health, and own the day. Cooper was a bank manager until his demise, and he's got a lot of making up to do. He's determined to be the best damn soul collector heav...he...Death has ever seen. Saddled with baby-sitting the soul of a selfish, amoral airhead, he's determined to teach her a lesson. Can Tabitha convince Death to switch her back before her wedding and her reputation are ruined? Will Cooper make her see the error of her ways? Or will Fate have the last laugh and teach them all a lesson in love?